Buying gifts for people can often be quite challenging because usually we don’t really know what sort of gift to buy. Obviously you want to give a gift that will be appreciated, and you want the gift to show the other person that you care about them. In many cases, giving or sending flowers can be an ideal gifting choice. Most people love flowers, and this explains why their popularity has never waned. In this Globalrose review, we will be looking at the pros and cons of ordering flowers and floral arrangements from Globalrose, an online supplier of fresh flowers at discount prices. All the information in this review is based on the opinions of many people who have previously done business with this company. Essentially, it is a condensed collection of reviews which have been written by numerous real life customers. Okay, so let’s see whether or not Globalrose is everything that it is made out to be. Globalrose as a company was first established in 1999. However, their flower farms have been cultivating flowers for more than 30 years already. To date, the company has sold more than 35 million flowers; provided flower arrangements for more than 45,000 special events, and for over 15,000 weddings. According to the Globalrose website, the flowers that are delivered to your doorstep are never more than four days old when you receive them. This essentially makes their delivered flowers six days fresher than flowers ordered from traditional florists. All flowers are handpicked on the same day you place your order. They are then hand graded, and hydrated before being placed in a temperature controlled warehouse until nightfall when they are flown to a refrigerated FedEx warehouse in Miami. FedEx then delivers them to your door. Amazing variety – Globalrose has a mind boggling variety of flowers to choose from, including more than 90 different types of roses. Absolute freshness – Your flowers are handpicked on the same day you order them, unless you are placing an order in advance. In this case, they will be picked on the appropriate day so as to ensure maximum freshness. All flowers are no older than 4 days at the time of delivery. By contrast, flowers obtained via the traditional supply chain are generally around 10 days old by the time a person receives them. Excellent quality – All flowers are individually inspected and then graded accordingly. Only flowers that make it into the top grade are sold under the Globalrose name. This means that every flower you receive should be a high quality flower which is in perfect condition. Discount prices – There is no middleman involved, which means that the company is in a position to offer some of the most attractive prices you are ever likely to come across. 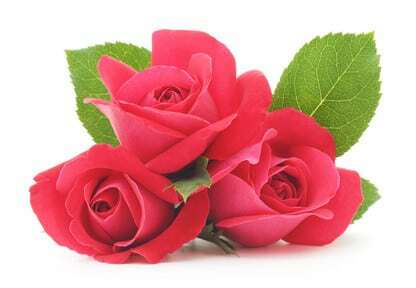 The flowers are grown, picked, graded and processed by Globalrose. FedEx delivery – FedEx is quite possibly the world’s best and most trusted Delivery Company. Knowing that your flowers are going to be delivered by FedEx tends to make potential and existing customers feel confident that their orders will be delivered on time and undamaged. Short life – While studying numerous reviews published across a wide variety of review websites, I did come across a few that were written by people who feel that their flowers from Globalrose should have lasted longer than they did. Some of these past customers are questioning whether their flowers were in fact only four days old. In all fairness though, no two flowers are the same, even if they are picked at the same level of development. One might last 15 days, while the other might only last for three or four days. Unexpected FedEx bills – Some customers have reported getting a $35 customs duty bill from Fedex shortly after their orders arrived. Globalrose has been quick to assure their customers that the bills were sent by mistake, and that there was no need for the customers to pay the bills. They also pointed out that it was a FedEx mistake rather than their mistake. Nonetheless, customers should not be expected to deal with such issues, and as such, I feel that Globalrose should take precautions in order to stop this sort of thing from happening again. Refusing to accept cancellations – In one review that was screened during research, the customer complained about Globalrose refusing to cancel his order when he requested it. Further investigation revealed that the customer’s order had by that point already been flown to the FedEx warehouse in Miami. In my opinion, I believe the company had every right to reject the cancellation request, but it is something which potential customers should keep in mind when ordering flowers. Cancelling an order during the delivery phase would mean the company is then left with flowers that can no longer be sold to their other customers due to freshness issues. All prices are listed in US dollars, and customers can pay for their orders with any major credit card or with PayPal. All orders qualify for free FedEx delivery so the price you see is the price you pay. Globalrose delivers flowers to any address in the United States, including Alaska; Hawaii; Puerto Rico and Canada. However, if your flowers are being sent to a Canadian address, the company recommends scheduling deliveries for Tuesdays and Wednesdays only. Many Global rose reviews were studied in order to make this review not only possible, but also accurate. Research clearly shows that the overwhelming majority of Globalrose customers have been very happy with their orders and with the entire ordering process for that matter. In fact, all the complaints touched upon in the “cons” section of this review come from a number of reviews published on just one particular website. The fact that 90% of the reviews on that site are negative reviews is enough to make me doubt the site’s integrity and accuracy. In the event that you need to cancel an order, you should request a cancellation at the earliest possible time. Once the flowers leave the farms, cancellations are quite understandably no longer possible. If you know you will be needing flowers soon for a particular event, try to visit the site frequently to look for special promotions that you might be able to take advantage of. I would feel very comfortable doing business with Globalrose because positive reviews of the company dominate negative reviews by a million to one. Research clearly shows that the overwhelming majority of Globalrose customers have been very happy with their orders and with the entire ordering process for that matter.